This is a gorgeous 5 spice scrub for men. Women can use it too. It removes daily oil and grime from your skin leaving in moisturised smooth and healthy. 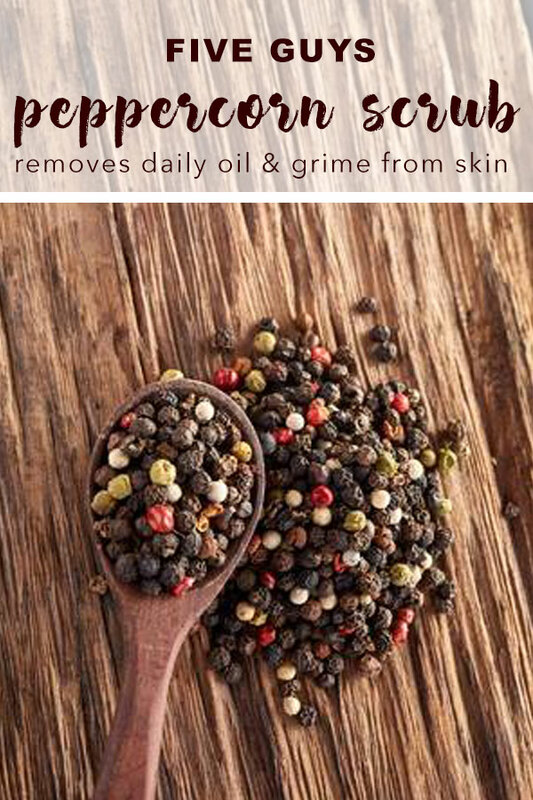 Peppercorns are great for body health and they make great natural exfoliators. They have also been known to improve skin conditions like vitiligo where skin loses pigmentation, and creates white patches. Peppercorns tend to have antibacterial properties, vitamins and minerals including manganese, iron and vitamin-C. Mix together to the constituency of damp sand. Scrub in a circular motion. If in the shower add some gel to a generous scoop rub between palms and lather up.